Make every educational interaction on your child’s smartphone . O-Level is the final certification for secondary school, to be taken at fifth form or year 11 at approximately age 17 (or age group 14-16). Students that have completed O-Level are considered to have completed formal education. They can further their studies to A-Level (at their schools’ sixth form or private colleges), Foundation Courses or diploma courses, or simply leaving school. IGSCE is the abbreviation of International General Certificate Education. it is world most popular international certification for end of secondary school (equivalent to O-Level, UK GCSE, fifth form or yesr 11 in respective countries and schools), before one proceed to Advanced Level (A-Level or sixth form or year 12&13) or pre-university studies. IGCSE assessment is conducted by two UK assessment bodies: Edexcel (also known as London Examinations) and Cambridge. Success in Cambridge qualifications often gives students admission to the world's best universities in the US, the UK, Australia, Canada, Germany and beyond. Login to study on your laptop, tablets, desktop, or even your smartphone. Anytime. Anywhere. As many times as you wish. Know what are the common mistakes candidates made in the exam, and how you can avoid them. Video tutorials based on the new syllabus, and ONLY what you need to know for the exams. Examiner’s tips to score A*, techniques and guidance on how to answer exam questions, and what are examiners looking for in your answers. For English & Science subjects ONLY,Online exam by sample question set prepared by expart involved in CIE.
Video tutorials and notes prepared by subject expart , emphasise on how to apply the theories learnt into the exam questions and daily life. Download/view past exam papers of all subjects and get best solution by notes provided. Get answer of your question by expart active users, help to solve your defficult questions realted to subject. Robotic assembly of the world's smallest house -- Even a mite doesn't fit through the door! 500-year-old Leaning Tower of Pisa mystery unveiled . Why does the Sun's Corona sizzle at one million °F? Samanyolu'nun süper kütleli kara deliği 'görünmeyen' kardeşlere sahip olabilir. Food allergy is triggered by perfect storm of genetics and skin exposure to infant wipes, dust and..
Palm trees are spreading northward. How far will they go? IGCSE Team On How are results reported? IGCSE Team On Questions about IGCSE exam results? IGCSE Team On What is Home Schooling? IGCSE Team On How do i finish an IGCSC subject in a month? IGCSE Team On What is Edexcel International GCSE? IGCSE Team On What is the best way to study for IGCSE? 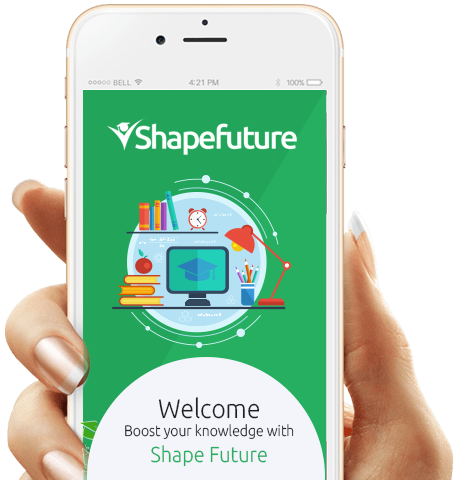 Download the Shapefuture app onto your student's phone.